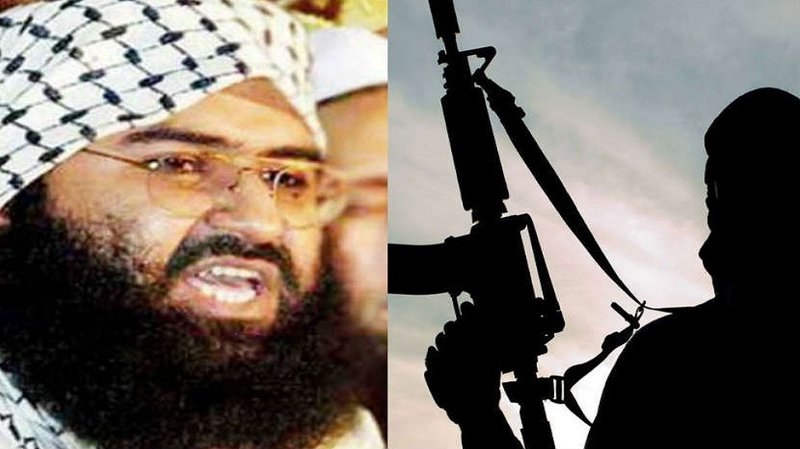 THE latest developments in the diplomatic arena as regards efforts to have terror mastermind Masood Azhar proscribed as a global terrorist have put China almost on the backfoot. Cornered by assertions by diplomats of many countries including India, the United States, the United Kingdom,, France, and others that China is sheltering terrorists, Beijing has sought to clarify its stand in fairly mild words that in effect say that it is wrong to level such an allegation. Such a response to an aggressive and collective diplomatic campaign from beijing is something unexpected. Chinese Foreign Ministry spokesperson has said that Beijing has put the resolution to blacklist Masood Azhar only on a technical hold, which does not mean that China is sheltering terrorists. But this is seeking only a technical escape route to conceal the actual agenda of helping its ally Pakistan in protecting terror masterminds. China has blocked three earlier moves to have Masood Azhar blacklisted, using the veto power it has as a permanent member of the Security Council. So brazen have those attempts been that the world knows by now that China is helping Pakistan offer full protection to terrorism. The world’s comprehension is not going to change by Beijing’s explanations and meek defence of its action. It is interesting to note that China has often taken stands opposite to those of India on many issues. At least on the issue of terrorism, it has backed Pakistan despite overwhelming evidence of Islamabad’s continual engagement with terrorism as a tool of its State policy. It is perfectly all right that China and Pakistan are sharing a few international projects of their common interests. Yet, that does justify the Chinese position at international fora as regards Pakistan’s complicity with terrorism. But if a country as important as China indulges in such cheap tactics, then something is amiss seriously. Of course, it is only foolhardy to expect China to conduct its diplomacy to accommodate its avowed enemy India. Yet, as has been found by India on several other occasions, the Chinese are fairly responsible while handling mother issues including trade. No matter that, the Chinese change dramatically the moment things boil down to India vis-a-vis Pakistan. They also are very adamant about their claim that Arunachal Pradesh belongs to them. Their sense of aggression, their refusal to see historical evidence as a deciding factor are often creating stumbling blocks in diplomatic paths not just vis-a-vis India but also with other nations including the United States. This Chinese trait is visible time and again in various sectors of international activity. Unpredictability is another of traits of the Chinese diplomacy. History shows that around six hundred years ago, the Chinese adopted aggression as an attribute of its international engagement. Since then, China has often indulged in conflicts whose meaning its neighbours like India and Japan could never understand. Pakistan may be basking in the benefits of its friendship with China at least for the time being. It will not be too distant into future when Islamabad also realises the perils of the alliance with Beijing. But that is none of India’s business. For the present, China appears to have been pushed onto backfoot as global diplomatic forces rally against terrorism.